Marketing is a young man’s game. Or so we’ve heard. We’ve also heard, “With age comes wisdom.” How to balance these divergent points of view? Maybe the answer is in the question: It requires balance. As a society – and even as a profession – we’re quick to dismiss “older” workers. They’re not as fast. They’re out of touch with new technologies. They don’t present the image we want to portray. The batteries that power our laptops, phones, and even electric vehicles? He invented the technology. And he just filed a patent on a new kind of battery that has the potential to revolutionize electric cars and kill off petroleum-powered vehicles. Oh, and did I mention that he’s 94? Knowledge is cumulative. We pick up much of our early professional learning in college, and then integrate that with real-world experience as we begin our careers. Our minds begin absorbing knowledge, but as we venture farther out into the world, our life experiences add to our knowledge, giving us a wider and deeper level of information on which to draw. There’s an openness to new ideas. As we gain more experience, our narrow vision slowly begins to widen, and we allow ourselves to take in convergent points of view and new ideas. It’s the natural course of evolution, but rather than a physical evolution, it’s a cognitive evolution. 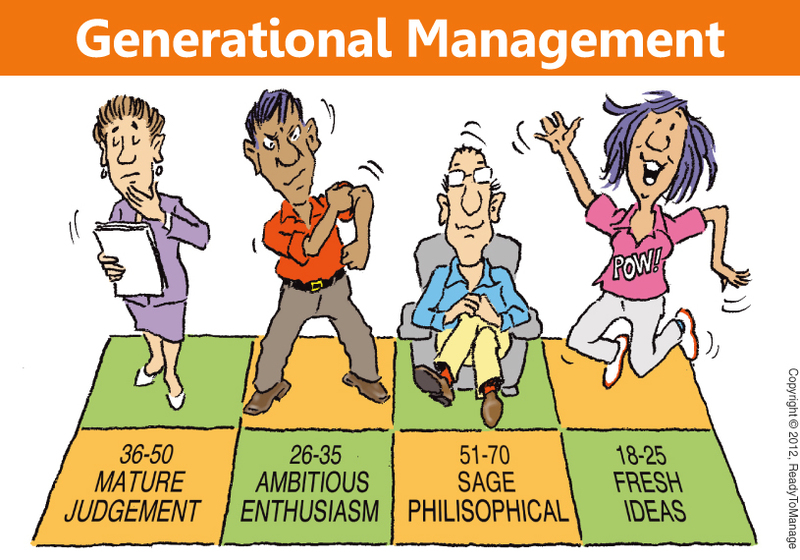 At the end of the day, a balanced workplace – with different generations bringing different experiences that lead to different ideas – should be the end game of what was typically thought of as the young man’s game. Are you game?